This half term our efforts have focused on our school. The children have become expert non fiction writers, writing a short piece about the Speech and Language unit for the school website. 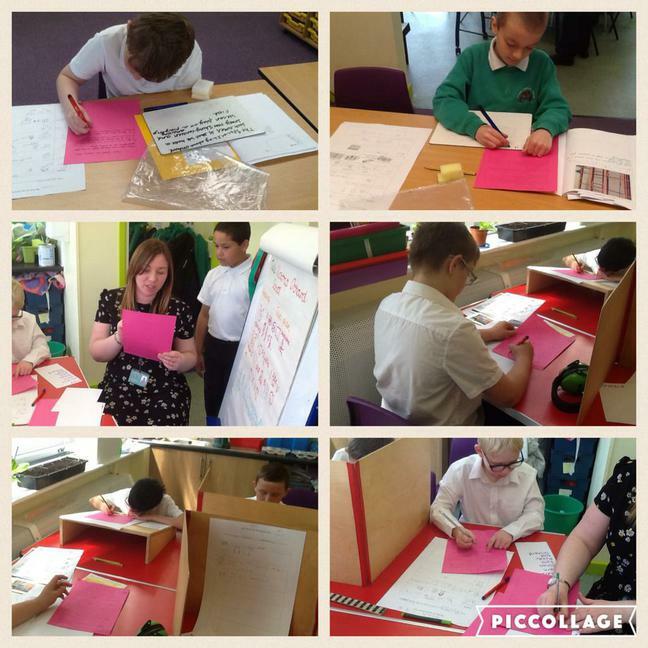 We've been using lots of Makaton signs to really bring the writing to life! Here the children are writing up their plans. Just look at the focus! In geography we've learnt all about features of our surroundings and created simple maps with keys for our school grounds. In ICT we're learning how to use computer programme called Sketchup to design a futuristic school!